Spring is finally in the air and I had a few minutes this morning to take pictures of the firing that took place yesterday. We fire the kiln 4-5 days a week, each glaze firing heats the stoneware inside up to about 2350º F and takes 24 hours to heat up and cool down. 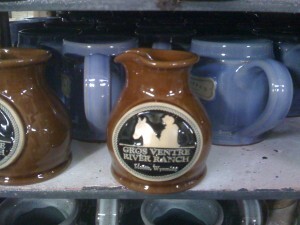 Like most commercial and handmade pottery we have 2 firings; bisque, and glaze. The bisque firing is the first and heats the our handmade stoneware up to 1600º F over the course of 12 hours. I’ll take some pictures of the difference in air dry, bisque, glazed and then glaze fired in the next report. 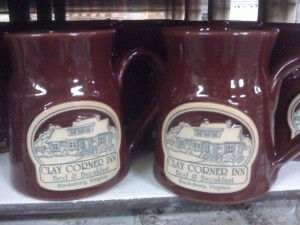 Located in Blacksburg, Virginia – The Clay Corner has been a customer since 2008 and this is their second order. 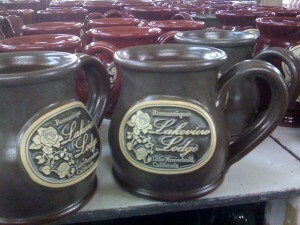 Last time the two colors that were chosen were Burgundy and Cinnamon… This time around Joanne Anderson (the innkeeper) changed out the cinnamon for butter (not pictured) for half of her order of custom handmade mugs, and a repeat of burgundy. Guess the burgundy was a bit more popular. Besides the handmade mugs, we also make other useful items like pitchers! Tori McGough from the Gros Ventre RIver Ranch ordered a small quantity of our newest item the 6 oz. Pitcher. These handmade 6 oz. pitchers are perfect for cream to be served with coffee or for heating up syrup. As we fire our handmade stoneware up to 2350º F there is no risk of placing these tough little guys in a microwave to heat up the syrup. This is the first order that we’ve made for Tori and we wish them well this season! 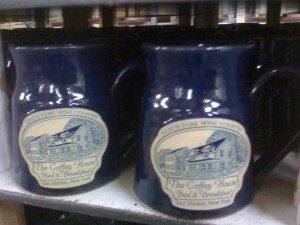 Located in New York, The Coffey House has duplicated their first order of stoneware mugs in the Colonial style all in our custom Navy Blue Glaze. Although we try to suggest offering at least 2 colors, so that you guests will have a choice, not everyone sees things our same way. 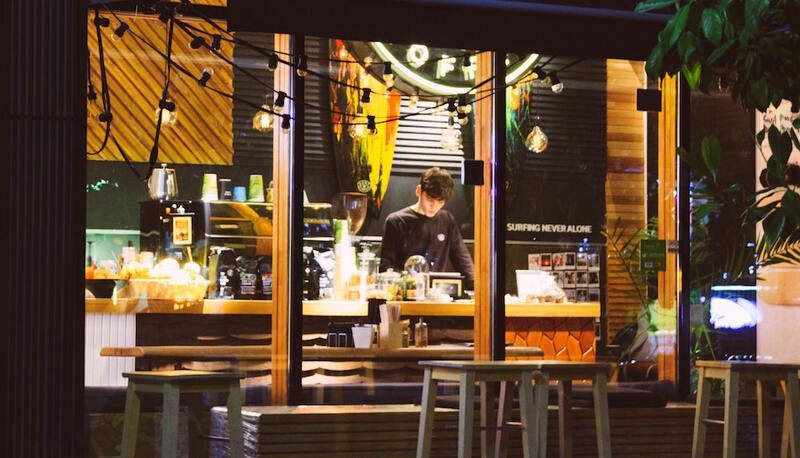 Ellie Coffey has a beautiful 4 room inn (www.thecoffeyhouse.com) that is furnished with antiques, high quality plush comforters and linens, and bathrobes. Next time I get to East Marion I’ll be staying with her… When I do I’ll suggest bringing in a new color on her next order. I can’t tell you how excited I am with this order going out! 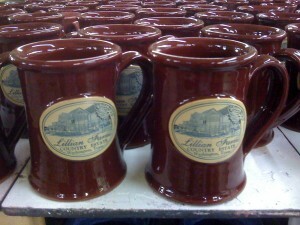 Instead of saying too much I’ll just say that the innkeeper of the Romantique Lakeview Lodge, Chris Fischer, and I talked a few weeks back and these mugs might mark the beginning of something really, REALLY, good. I can say that that Fieldstone is our newest color, and a satin finish, has been getting great reviews from our customers… Pictured here in one of our most popular styles of Signature Mugs – the Round Belly Mug! Lois Hoover from Kansas City, Missouri has been a customer since 2002! 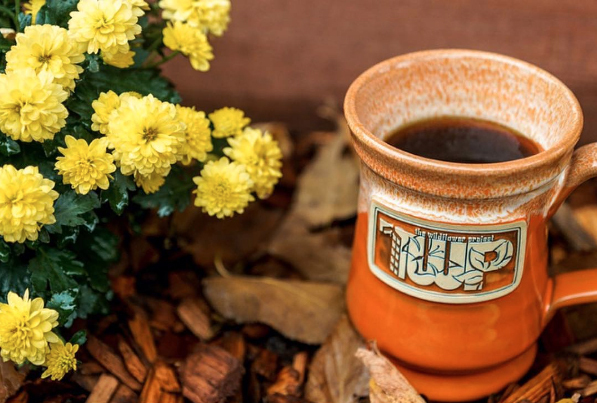 I have had the pleasure of meeting up with her on a few occasions and the last time was in Independence for the MO-KAN conference where she placed this order for more handmade stoneware mugs in a VIBRANT coral glaze. Her property is celebrating it’s ’10th Anniversary’ this year and has an in-ground pool and movie theatre! Can’t wait to stay with her next time I pass through KC! Another exciting order that is just about to head south to Washington, Texas… The is the first order of custom hand-thrown mugs that are just coming off the kiln for Barbara Segal and her Lilian Farms Country Estate! The picture that we used was photographed from a hot air baloon and the detail on the medallion is AMAZING!!! 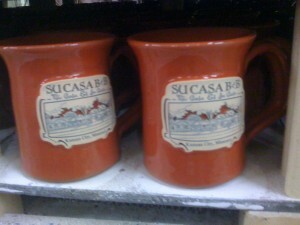 In her first order she selected 2 different styles of custom mugs each in their own color. 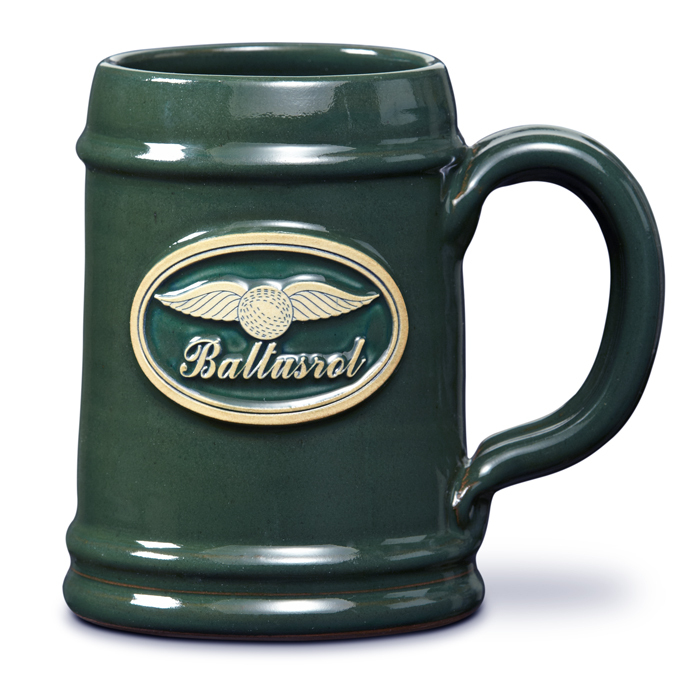 As pictured above the Jr. Executive Mug in burgundy, and the other selection was the Round Belly Mug in our custom glaze – Hunter Green. Can’t wait to hear how her guests respond when she serves her first cups of coffee and tea!! !